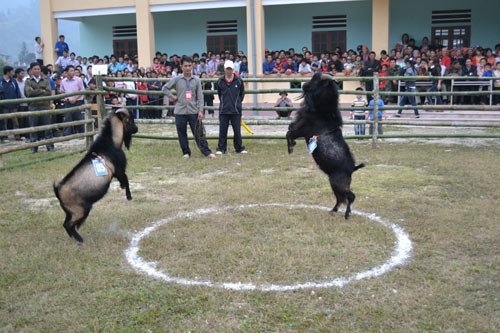 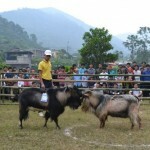 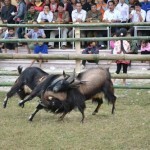 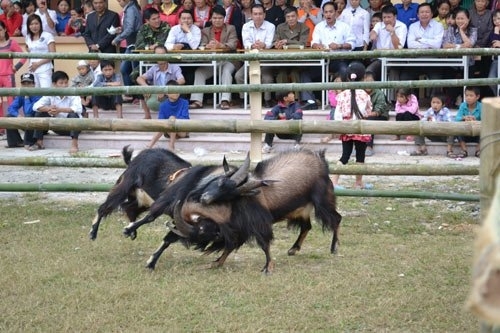 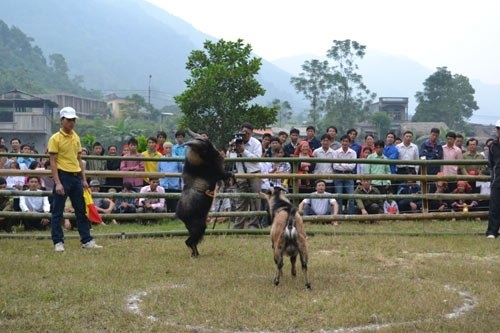 Goat Fight (Chọi dê) is a practical activity to remaintain and promote for sport development as well as develop a folk game – Goat fight of ethnic minorities in Hoang Su Phi, Ha Giang. 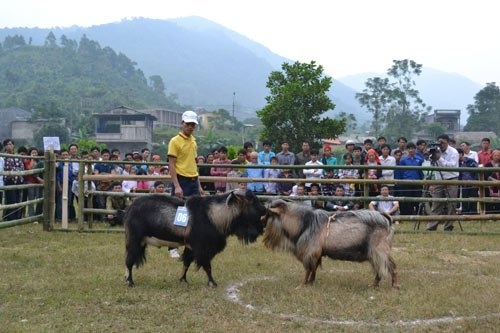 This Goat Fight competition also help inspire and promote the traditional culture, conserve and develop precious genetic resources for breeding animals of various ethnic groups in the district. 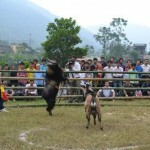 Hoang Su Phi is a mountainous district with many difficulties. 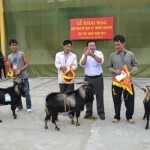 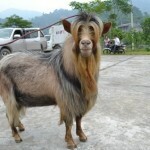 The economy of Hoang Su Phi mainly bases on agriculture which livestock breeding plays an important role. 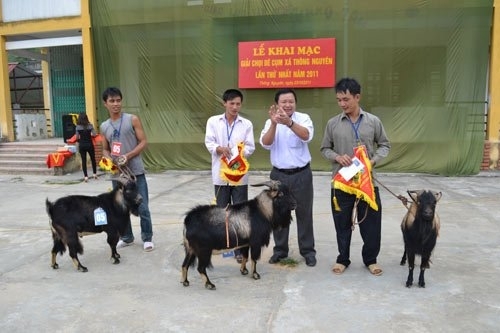 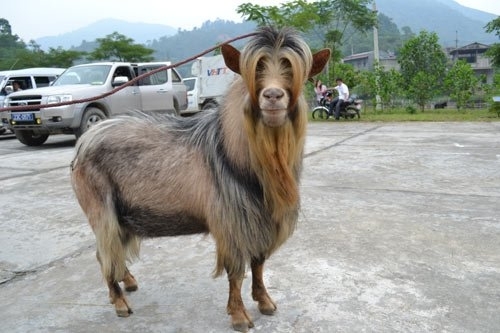 At the moment, the district have about 24,255 goats, these animals have an increasingly important position in the economic development of the district. 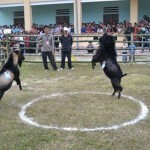 Therefore, this game is not only to inspire spirit for the local people but also to encourage household breeding.